Chair-washing PM-2, buy at the price of 286 in Europe. 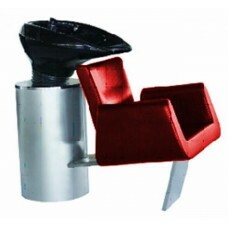 This compact chair is for your barbershop or beauty salon. This chair-washing is ideal for both the small room and the spacious treatment room. An important part of this chair is its material (stainless steel), so acquiring it, you get furniture for your business for years. This model is very practical and convenient for your professional beauty salon, but even more, customers will appreciate this chair it is so pleasant to be in it. The designers have thought through all the details in this model: the comfortable place for the body and legs, practical to use, easy to clean, durable coatings and other materials, from which this model produced. The color scheme will also please you.